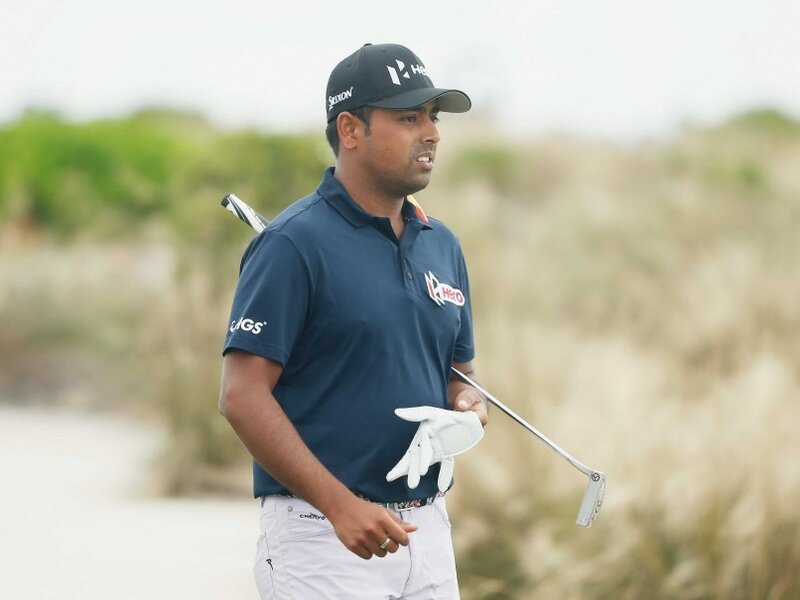 Indian golfer Anirban Lahiri made reasonable ground on the third day despite a poor showing in the closing stages of the penultimate round of the Wells Fargo Championship. Starting the day at tied 35th, he was close to top-10 before ending up at tied 19th after 54 holes. Lahiri, the only player with a bogey-free round this week following his six-under 66 on the opening day, was once again bogey free through the first 14 holes. And then he hit the road block on the famed finishing stretch at the Quail Hollow. First, he bogeyed 15th and then two more bogeys came on 17th and 18th with a birdie on 16th somewhat limiting the damage. Lahiri, going strong at two-under for the day, looked set for another birdie on par-5 15th, before he duffed a chip and three-putted for bogey instead. He recovered with a birdie on 16th, but missed a three-footer for par on 17th. He went into the water on 18th for a third bogey and a round of 72, which could easily have been in 60s. Lahiri (72) took his total to one-under 215 and was eight shots behind the leader Rickie Fowler (68). "I was hugely disappointed with the finish. The last four holes were the easiest today in comparison to the rest of the week. On the 15th, I duffed chip and 3-putt from the edge of the green. Then I missed a 3-footer on 17th and had a mis-clubbed wedge on 18. That round should easily have been in the 60's today," said a disappointed Lahiri. Regarding his overall play, Lahiri added, "I was disappointed to not make a move today. I played really good till the misses coming in (on the final stretch)." Regarding the 'Green Mile' as the stretch between 16-18 is referred to, Lahiri said, "Yes. They are playing much easier than earlier in the week. The 17th usually plays 200-plus yards. Today it way less. On the 18th hole I hit 40-iron last two days, today it was a pitching wedge." Despite a disappointing third round, Lahiri still sounded confident. "The game is looking good and I am looking to put in a solid final round." Fowler carded a four-under 68 to take the third-round lead at the Wells Fargo Championship, where he had a breakthrough win in 2012. He had a one-stroke lead over Roberto Castro, with Justin Rose and James Hahn two strokes back.